As I was browsing through my email yesterday, I came across a message that said “you have received this email because you are a sweat pink ambassador” SAY WHAT?? I’ve only been waiting for the acceptance email for MONTHS! Well, duh, I obviously deleted it. Yep, that’s me for ya. I was sooo pumped, I immediately emailed my totally blonde situation to the sweat pink sisters at Fit Approach and all was good in my life once again! What is Sweat Pink, you ask? This is so me! I’m thrilled to be a part of the #sweatpink family! 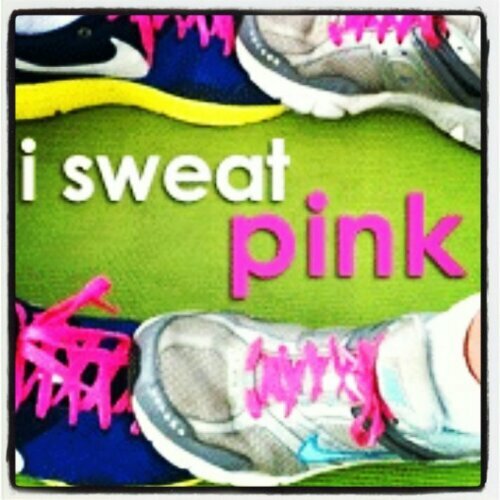 Have a great weekend and make sure you sweat pink! Sweating Pink is a great way to be. Welcome! Thanks, ladies! So far I LOVE it!